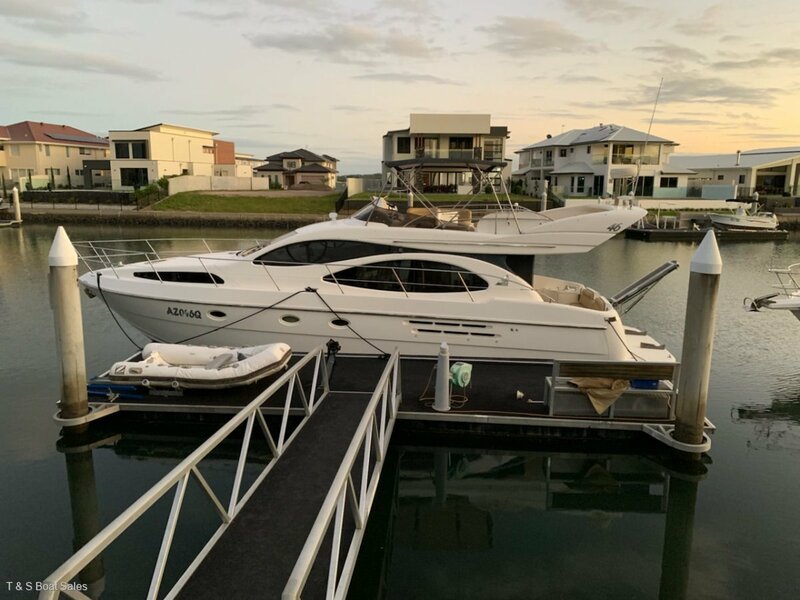 AZIMUT 46E Flybridge - PRICE REDUCTION!!!! 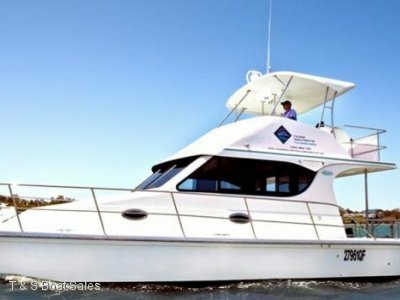 The listing of the year is this imposing vessel that has been immmacutely maintained by T&S Boats and Wondall Rd Marine. 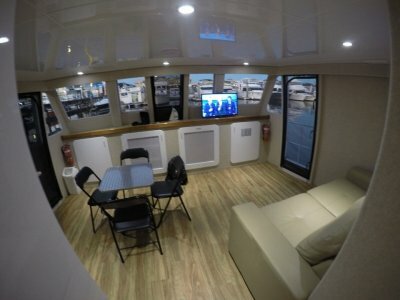 It is a very rare 3 cabin plus crew quarters and a twin ensuite flybridge and is equipped with unique staterooms and ensuites. One of the rare features is the 2 stateroom (with ensuites) and includes 3rd double bunkroom and crew quarters. This exceptional listed Super Yacht has very low hours on the twin 3208 caterpillar diesel shaft drive engines. 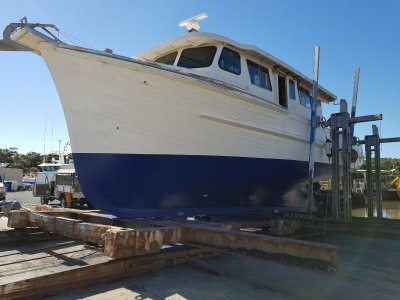 Has been fully detailed in April 2017 and antifouled by the boys at A1 Antifoul and the team at Wondall Rd marine. No expense has been spared to give the new owner trouble free boating and the envy of your friends and neighbors. 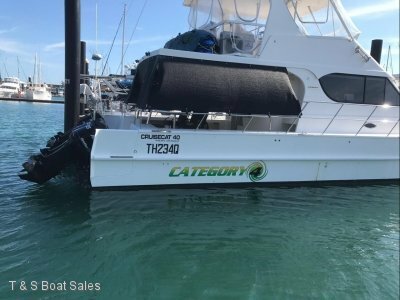 Fully airconditioned and a Kohla13 KVA generator also fitted with a 3.1 metre zodiac tender.. LED lights fitted throughout and has all the teak replaced to satisfy the most discerning buyer and will not disappoint. Genuine reason for selling due to a lifestyle change, a very reluctant sale and only serious buyers need enquire. Written offers will be considered and viewing will be by appointment only. Kept and maintained continually by second owners.